I wonder if Exai will be their last 'conventional' album. So.....what's everyone's opinion on this. I take it as a 'best of' everything Ae has done to date, remixed to Autechre's 2008 standards. 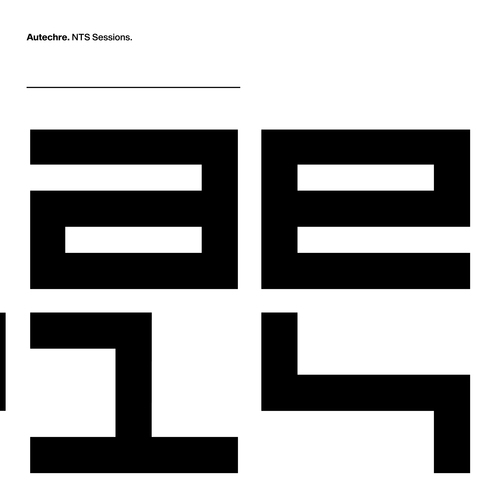 I'm really wondering if this is the last we'll hear of Autechre in its current form and 'all end' is indeed the end that we'll hear from the two boys. I've got a theory [completely based on nothing] that every track in NTS 1-4 is a hyper-remix of every disc or 12''' they've put out since Cavity Job. Like every track has a disc or vinyl associated with it. I'm waiting for the 8CD box before listening! I can't see them retiring any time soon. They said in an interview not too long back (or possibly even in AAA) that they basically earn a reasonable living off what they do but nothing dramatic, so unless they're planning entirely new careers then I reckon they'll keep releasing and/or touring.